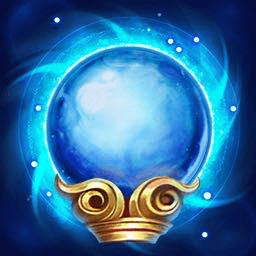 Information for Arctic Orb, a usable item in Arena of Valor (AoV). Included are its effects, unique passives and/or actives, price, and item tree. We also measure effect ranges, explain any ambiguous effects, and give our recommendations on how to use the item. Unique Passive(s) Impervious: Immune to all effects for 1.5 seconds. Unable to move, attack, or use abilities. Cooldown: 90 seconds. Arctic Orb’s unique active, Impervious, has the same effect as the old talent Endure, which was removed from the game in the same patch that Arctic Orb was introduced. Though the effect is great, Arctic Orb doesn’t offer any CDR, defensive stats like HP or armor, or even outlandish ability power, though the 200 is reasonable. Mages who like to get in the thick of the fight and need a breather between cooldowns can make good use of Arctic Orb. In addition, mages who have abilities that continue while “stunned,” like Jinnar with Nirvana or Tulen with Thunderclap, can continue to deal damage while using Impervious. Another potential use for Arctic Orb is to switch out Ancestral Glory for it in the late game when Resurrect is on cooldown.